On Thursday 29 March Dingwall Fencing Club were pleased to welcome Keith Cook along to our training night. Keith holds – among other accolades- 6 Commonwealth Medals and set and holds the record for the youngest person ever to be selected for the Scottish senior squad. As well as being Scotland’s top fencer and a full time coach he is also a champion for Dyslexia Scotland and an excellent motivational speaker. 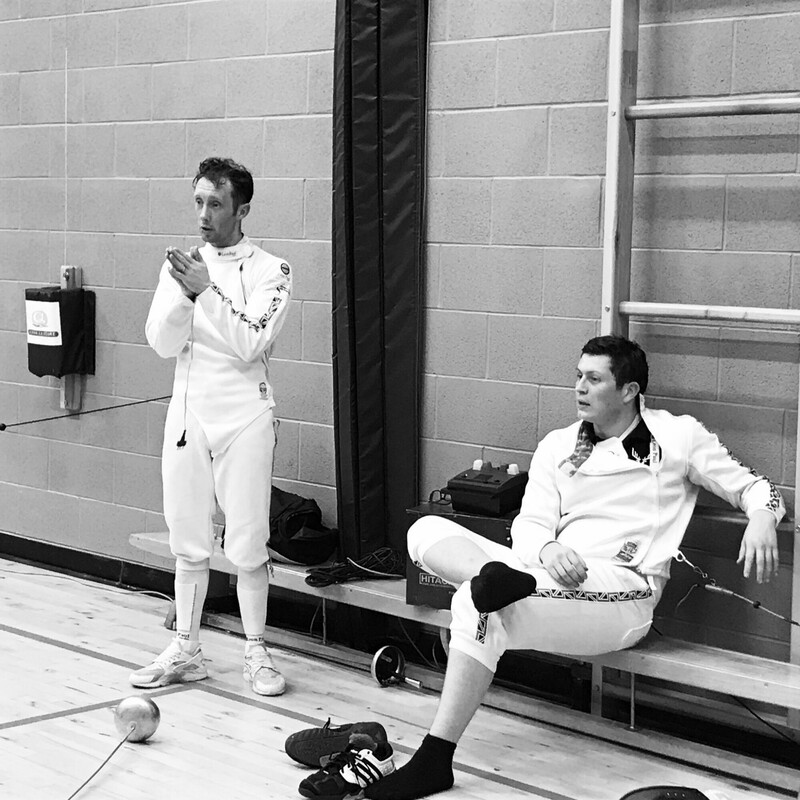 Keith gave lessons to some of our foilists before switching over to epee to fight a number of us. He also spent some time talking to us about his path to sporting success and encouraging the younger fencers to work towards their own achievements. Everyone involved enjoyed Keith’s visit and we look forward to welcoming him back in the near future.